The report comes as Education Secretary Betsy DeVos faces criticism for halting two Obama-era regulations that would have added protections for students. 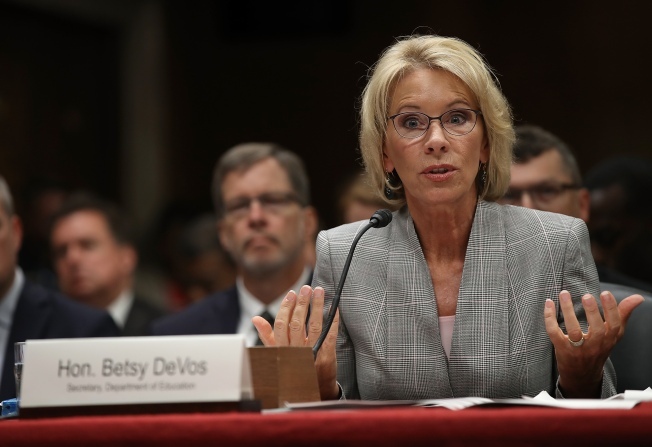 In this June 6, 2017 file photo, Education Secretary Betsy DeVos testifies before the Senate Appropriations Committee on Capitol Hil in Washington, DC. The report comes as Education Secretary Betsy DeVos faces criticism for halting two Obama-era regulations that would have added protections for students. Review of tens of thousands of claims has stalled and the AP reported last month that the department now is considering abandoning the practice of full loan cancellation in favor of partial forgiveness. Student advocates point to the Trump administration's ties to the for-profit industry and accuse DeVos of putting industry over students. The Education Department said it needs to review the report before commenting. Of the more than 98,800 complaints received by the department as of mid-August, 98.6 percent came from students at for-profit schools, while only 1.4 percent of them were filed by those who attended nonprofit institutions. For-profit schools account for only 10 percent of national enrollment and 18 percent of federal student debt, according to government data. DeVos moved to freeze those revisions before they went into effect. There's now a backlog of 87,000 complaints that haven't been ruled on, according to the TCF report. DeVos said she intends to fight fraud, but believes the Obama revisions were written too broadly and could allow for unsubstantiated claims. In an interview with Politico published last week, DeVos suggested there was no substantial difference between for-profit and nonprofit schools. 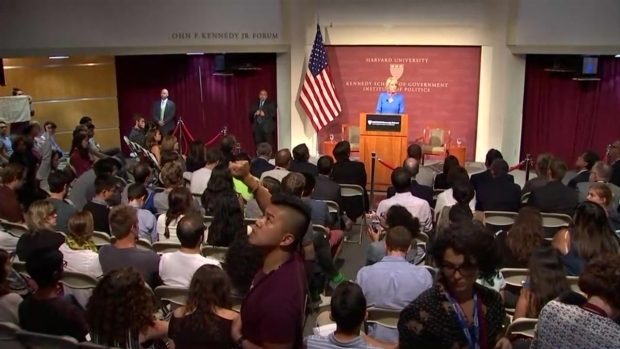 "Let's be clear, it's for-profit or not-for-profit is simply a matter of tax status — fraud anywhere needs to be rooted out," she told the publication. "This highlights a clear difference between for-profits and nonprofits. It's not just the tax statuses. It's the control structure that governs these entities," Habash said.